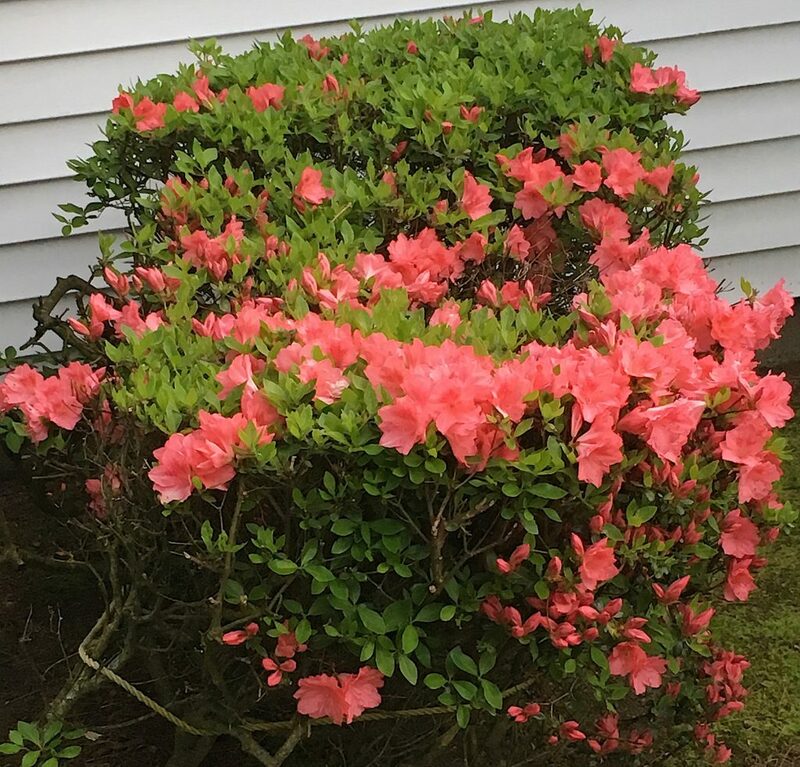 The flowers are now opening up at this home we tutor for in Brookline, MA. Spring in Brookline is an exciting time of year for our students and tutors. Times are filling fast. Don’t be shut out. Call Y3K Tutor In Your Home today! Thank you to the Devotion School of Brookline, MA for this wonderful certificate that was sent to us recently. 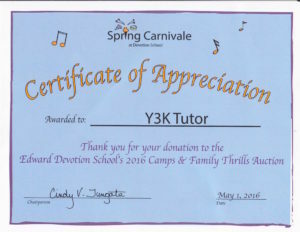 Y3K Tutor In Your Home will definitely be donating more test prep and tutoring services to you in the future! A student can lose up to 2 ½ months worth of material previously learned in school. Don’t let them start off the new school year rusty. We can prevent this with summer tutoring. Call Y3K Tutor In Your Home today, before schoolwork goes the wrong way! Now is the time to prevent the summer slide and catch up on difficult subjects from the previous school year. Sessions are filling up fast. Don’t be shut out. Call Y3K Tutor In Your Home today! The summer is the best time to catch up on anything that your student was behind in school. Without the distractions of additional subjects and assignments, your Y3K Tutor In Your Home tutor can focus directly on the issues and have your child ready for school where they should be on day one! When schoolwork goes the wrong way, call Y3K Tutor In Your Home today! 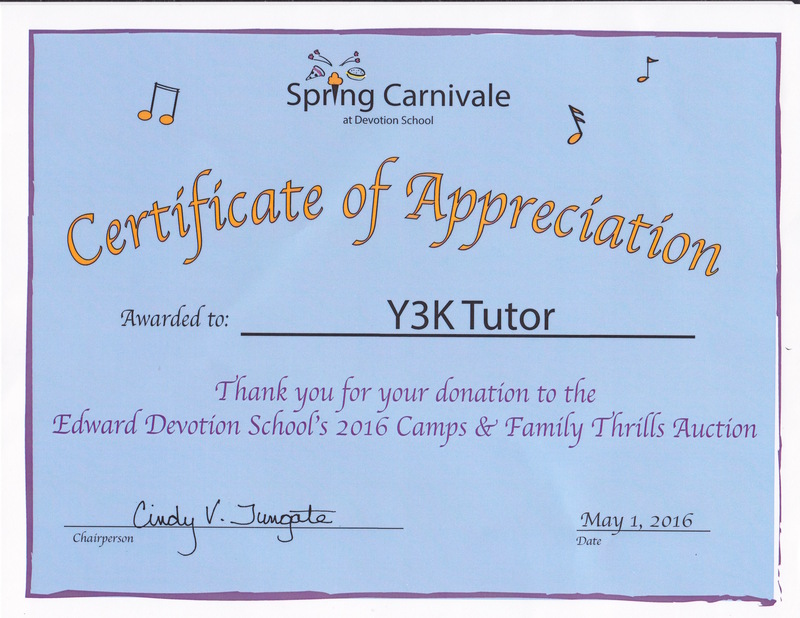 Y3K Tutor In Your Home is thrilled to once again donate our test prep and tutoring services to the Devotion School in Brookline, MA. This time we support the Edward Devotion School’s 2016 Camps & Family Thrills Auction. As one of the largest public lower and middle schools in Brookline with more than 900 students, their needs are great. Thanks to our donation and your purchase of our tutoring certificate, the proceeds will go directly toward major needs of the school. These include new technology, athletics, music and other critical needs that support all of the students at the school. Here is the complete list of items collected for the Y3K Tutor In Your Home 13th Annual Buddy Dog Humane Society Collection Drive. There are three convenient drop-off locations. Pick-ups are the first Saturday of each month. Our collection drive is from November 1st to January 10th. Call now! Gift Certificates: We can always use gift certificates from the following stores to purchase shelter supplies. A good Y3K Tutor In Your Home tutor will make his students see what they can be rather than what they are.